Will an Aging America Cause Lower Stock Returns? The relationship between supply and demand is widely understood in economics. But does an aging America mean future stock returns will be lower as older Americans sell stocks for day-to-day needs in retirement? 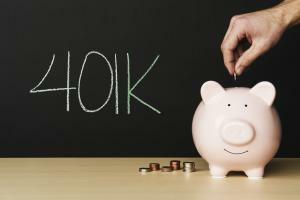 The employer retirement plan (commonly known as a 401k/403b) is an essential savings and investment vehicle available to many individuals today. These plans provide significant benefits to employees, such as tax deferral on employee contributions, employer matching contributions, Roth contribution and greater annual deferral limits than an Individual Retirement Account (IRA). However, a 401(k)’s features, investment choices and service providers are determined by the employer and offer employees little flexibility. Investors must choose among the investment vehicles offered and work within established rules and limits within their respective plan(s). Choosing the right investments within your plan can be difficult as plan data is not always readily available, and many HR departments often do not understand their own plans well enough to provide guidance to plan participants regarding their investment decisions.